First appeared in The British Theatre Guide on 20th June 2014. Sam Shepard, says Gary Grant, professor of theatre at Bucknell University, “is a writer’s writer”. 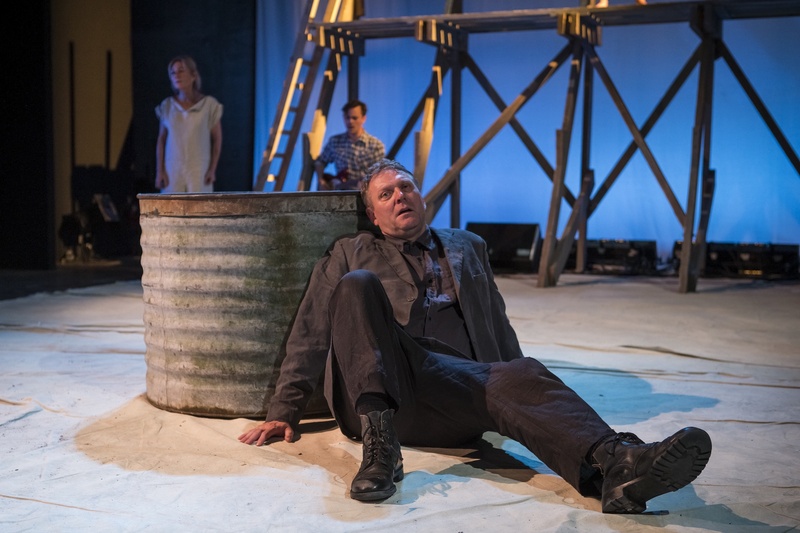 Nowhere is that more so than in the two pieces of writing I saw that make up part of the Presence Theatre’s Sam Shepard Roadshow. Perhaps that’s why so few have attempted to stage his early play The Holy Ghostly and collaborative poem The War in Heaven. Recurring themes – Christian, familial – weave through both works. Allusions are literary, recalling Samuel Beckett and Tennessee Williams, and social, moving in and out of American pop culture. This is an ambitious endeavour for three actors and a small budget, and they tackle it with energy. There is some brave acting, particularly from Jack Tarlton (although there is something more truthful about John Chancer’s performances). 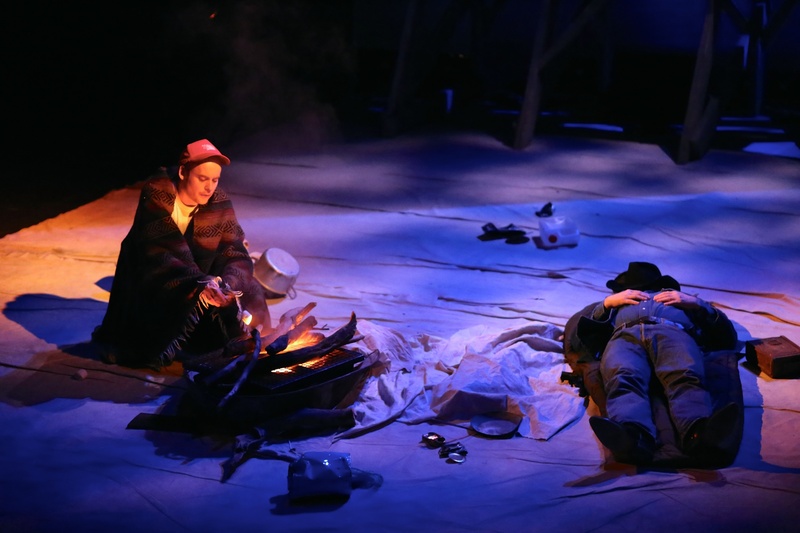 And there is some clever set design in the smoking campfire and moving dead body. But, assaulted with abstract concepts without a firm narrative structure, the audience is left bewildered. Noting the traditional set and the actors’ traditional opening, spectators prepare for a ‘play’. But what follows is a blend of poetry reading set to music and conventional theatre. There’s a sense that the truth of Shepard’s writing has been lost amidst the costume, scenery and conscious stage acting. 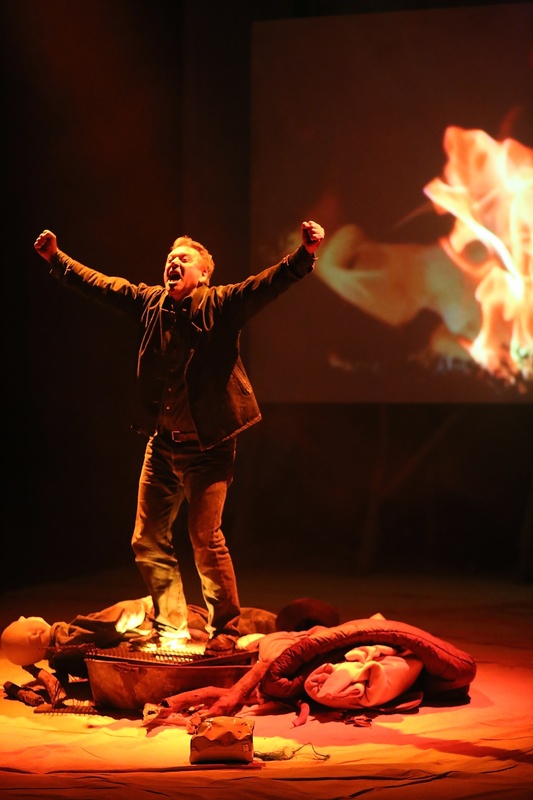 Director Simon Usher has broken down the structure of the traditional theatre production by staging two works of different genres as a double bill. But that’s where his experimentalism ends. Truth is not sought outside of the confines of conventional staging, and so the production takes on the self-indulgent and inaccessible air of ‘experimental theatre’ when it is not experimental at all. Watching, one can’t help but close one’s eyes to imagine the words on the page and how beautiful they must look. It’s quite possible this is how one ought to meet them in the first place.